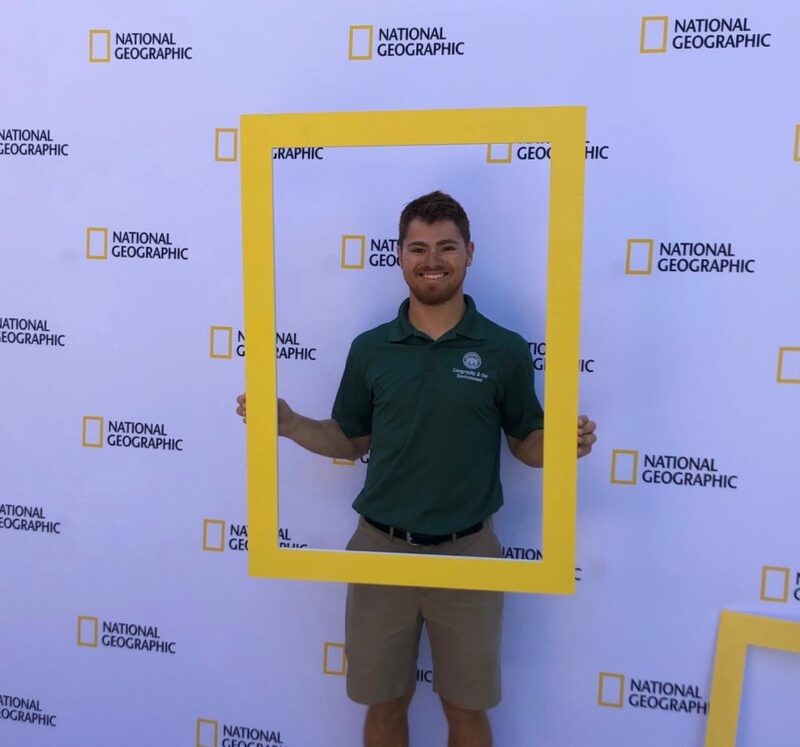 This year for the first time, JU also hosted the National Geographic GeoChallenge. The annual themed National Geographic Society sponsored competition challenges U.S. students grades five through eight to develop solutions for real-world environmental issues. This year’s GeoChallenge theme was “Tackling Plastic,” specifically in our planet’s waterways. JU faculty provided both time and expertise to help make the day a success for students, including Dr. Douglas Hazard, Dr. Jeremy Stalker, Dr. Quint White, Dr. Melissa Holmes, Dr. Kerryanne Monahan, and Dr. Jesse Hingson. Dr. Ashley Johnson and Dr. Ray Oldakowski coordinated the event. 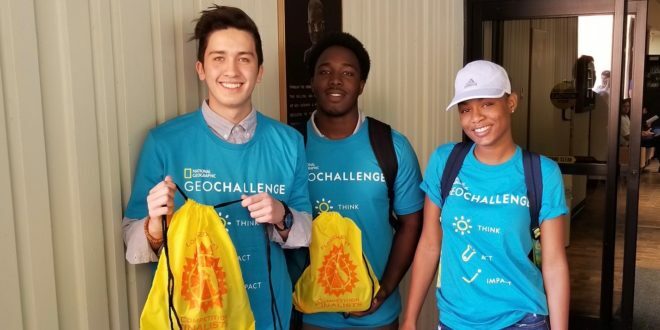 JU students were imperative to the success of both events, serving as judges for the GeoChallenge. 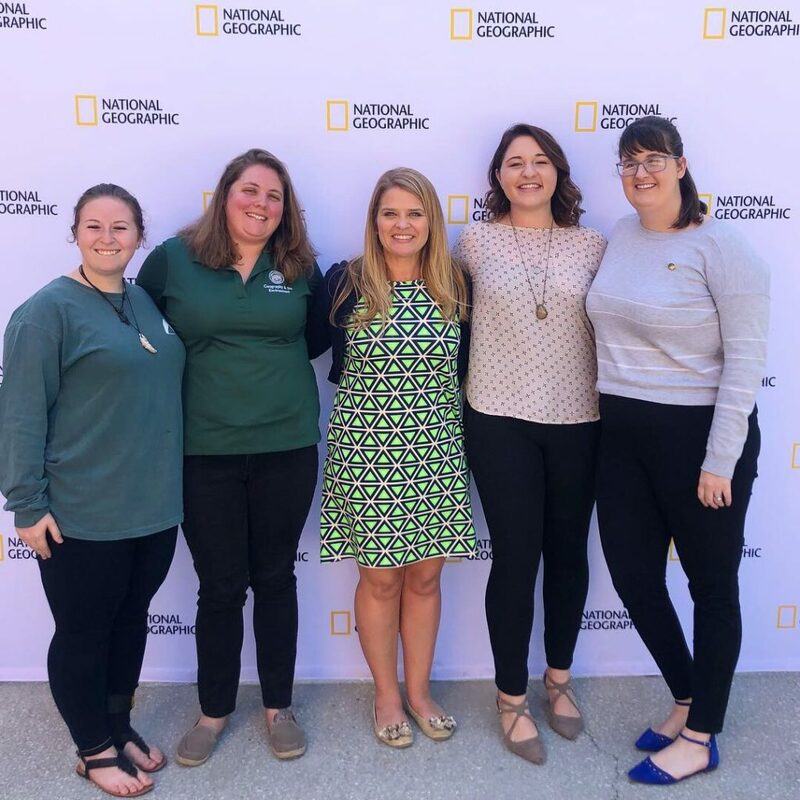 Graduate students Jenna Blyler, Callen Kelly, and Jennifer John from JU’s Public Policy Institute and Megan Meyer from the Marine Science Research Institute were also on the frontlines of the full day of activities. Upon arrival, students heard from Dr. White about the importance of reducing global use of plastics, as well as the importance of geographic knowledge in understanding our interconnected world. Students responded to the challenges presented by using research, collaboration, communication, and creativity to create and present a solution. Teams with winning projects advance to the regional and national levels. Nine teams participated, from South Carolina, Georgia, and Florida. Kids Against Pollution, the winners of the 2019 challenge, hail from Strong Rock Christian School in Locust Grove, Georgia, and will proceed to the national competition in Washington, DC this summer. The winning team created a multi-media awareness campaign that included a book they wrote entitled A Fish Named Sushi. “What I appreciated most about this group is that it seemed to emphasize the sentiment that individuals have the power to change our planet through education rather than governmental restrictions and that no machine or care plan can make the changes that a planet of mobilized, common-grounded people can,” Blyler said.